CWM Environmental to expand with construction of new building. CWM Environmental to expand with construction of new building. » CWM Environmental to expand with construction of new building. CWM Environmental to expand with construction of new building. East Franklin-based company continues to grow after multi-million dollar contract. 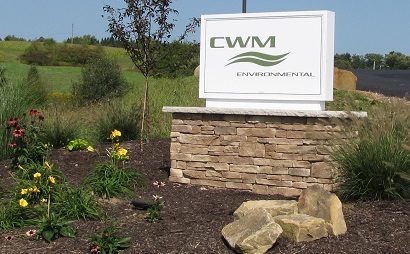 CWM Environmental located in West Hills Industrial Park in East Franklin Township, recently purchased an additional 4-1/2 acres of land in order to construct another building. Since inking a $4 million contract with Pittsburgh Water & Sewer Authority in November, CWM has added more than a dozen employees and plans to expand further as 2018 progresses. CWM Environmental is in, “rapid growth mode,” and does not have any plans on slowing down through 2018. 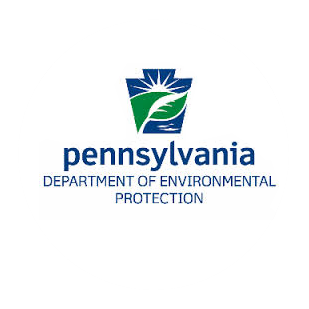 The company just purchased 4-1/2 acres of additional land in East Franklin Township, which will house its trucks and allow for additional laboratory storage. CWM President David Kohl on Monday called it, “a support building for our operations.” The new building will be located on South Park Drive, not far from CWM’s existing facility at West Hills Industrial Park. CWM was founded in 1985, and has a second location in Cleveland, in addition to the local facility. The company offers analytical testing and plant operations for municipalities’ water and sewage authorities. Their plans for an additional building comes after CWM landed a $4 million contract with the Pittsburgh Water & Sewer Authority (PWSA) in November. Since Dec. 1, CWM has added 14 employees to handle the increased workload that came with the contract.The new building may mean up to another dozen jobs. Part of the expanded workload is not just because of the work required for PWSA, but the recognition the procurement of that contract has provided CWM. “The serendipitous result of this is we’re getting other authorities because of the exposure we’ve received,” Kohl said. Currently, CWM services 50 sewage and water plants between Pennsylvania and Ohio, and there are 230 facilities for which the company’s officials conduct analytics all told. Of all those, very little of CWM’s business comes from where the company makes its home.“Less than two percent of our revenue comes from (Armstrong County),” Kohl said. “We don’t do much of our work here. “We’re hoping to grow in Armstrong. We think our scope will save local municipalities money,” added Michael Rizzo, CWM’s director of marketing. CWM sees a benefit for municipalities joining in a public-private partnership. Kohl says they help protect publicly owned sewage authorities from larger, private companies. “A lot of them don’t want to sell, but they can’t compete with larger companies,” Kohl said. “We give them an opportunity to compete.” Adding local authorities as clients is part of CWM’s, “rapid growth mode,” as Rizzo put it. “We think we can aggressively grow and pick up local municipalities, and grow into other states, as well,” Rizzo said. The article was written by Jon Andreassi is a staff reporter for the Leader Times.